The south-eastern region of Macedonia prides itself on many tourist places and attractions that will definitely impress you with their beauty. The Lake Paljurci is one of those attractive locations and a place that must be seen. 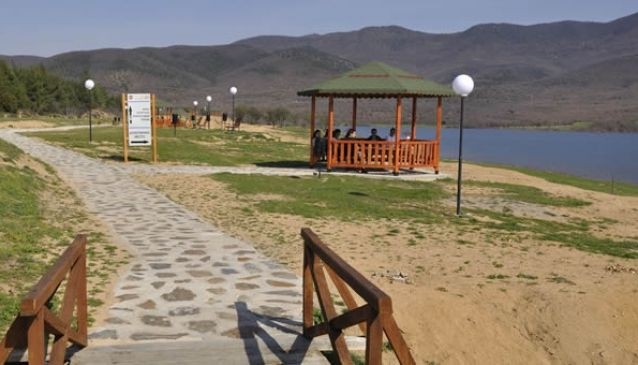 This artificial lake was built 30 years ago on the well-known River Luda Mara and it is situated several kilometres away of Bogdanci. There are evidences which show that long time ago in this area there was a village called Paljurci but today only an old well and several old photos remained. The water of the Lake Paljurci today is used for irrigation of the fields in Bogdanci and around. Because of its excellent location and the pleasant climate in this area, the Lake Paljurci is an ideal place for spending quality time with family or friends enjoying the tranquil ambiance, fresh air and splendid nature. Use your free time to visit the lake and relax in a pleasant ambiance surrounded by pure natural beauty.